SAN FRANCISCO--(BUSINESS WIRE)--Asked to select topics they wish they had learned more about when they were teenagers, the greatest percentage of today’s parents with teens (57 percent) choose “money management.” Surprisingly, most parents admit to raising children who may someday share the same regret. 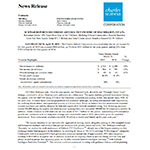 These are among the key findings of “Parents & Money,” the latest annual survey on the topic of families and money released today by Charles Schwab. Sixty percent of parents identify their teens as “quick spenders,” and most acknowledge they could do a better job of teaching and preparing their kids for the financial challenges of adulthood, including budgeting, saving and investing. Only about one in three (34 percent) has taught their teen how to balance a checkbook, and even fewer (29 percent) have explained how credit card interest and fees work. And while most agree that the best way for teens to learn about money is from guided, hands-on experience or their own example (71 percent), only one in five parents (20 percent) involves their teen to a great extent in the family’s budgeting and spending decisions. A full 25 percent don’t involve their teens in these important activities at all. In fact, parents are much more apt to teach their kids how to do laundry (70 percent) than how to pay bills (43 percent). Nearly all (93 percent) American parents with teens age 13-18 worry their teens might make financial missteps such as: overspending or living beyond their means (67 percent), getting in over their head with credit card debt (65 percent), failing to save for emergencies (60 percent) or failing to stick to a budget (57 percent). And a full third of parents (33 percent) anticipate their “golden years” will likely involve helping their kids financially. Their fears may be well-founded. While the majority of parents consider learning about budgeting (63 percent) and credit card management (55 percent) to be more important for today’s teens (than when they themselves were young), far fewer claim to have taught their children these basics (49 percent and 29 percent, respectively). One barrier may be the misconception that teens aren’t interested in learning about personal finance. More than two-thirds of parents (67 percent) think that learning about money management, including budgeting, saving and investing, is not one of their teen’s top priorities. However, previous research shows otherwise: 60 percent of American teens identified it as a top priority in Schwab’s 2007 Teens & Money Survey. Although three-quarters of parents (75 percent) consider themselves good financial role models for their teens, the data suggest otherwise. The majority of parents surveyed characterize themselves as “quick spenders” vs. “stellar savers” (52 percent vs. 48 percent). More than one in four parents surveyed (28 percent) are not currently saving for either their own retirement or for their child’s college education. 1. Include your teen in discussions about the household finances. Make discussion about the household finances a regular part of everyday life. The majority of today’s parents wish they’d known more about money management when they were teens. Break the cycle of ignorance by taking a page out of the single parent’s handbook. Single parents are 44 percent more likely than married parents to regularly involve their kids in household financial decisions. Current events in the economy provide additional opportunities for family discussion. 2. Be prepared for your teen’s financial rites-of-passage. Whether it’s a first job, saving for a car, using a credit card, or saving for college, real-life events provide opportunities to bring basic financial concepts to life. All teens experience money milestones that offer an invitation for parents to share their own values and talk about money management in a way that’s compelling to kids. The website, www.schwabmoneywise.com, can help you identify your teen’s next financial milestone and capitalize on that opportunity. 3. Provide your teen with an allowance and stick to it. An allowance gives kids the ability to learn how to make choices – sometimes at the expense of making mistakes. Don’t give teens more money just because they ask for it. Teens whose parents describe them as “stellar savers” actually get on average $30 less per month than teens who are “quick spenders.” If you increase your teen’s allowance, demand greater accountability by requiring him or her to pay for some basic necessities. 4. Encourage your teen to get a part-time or summer job. Teens who have paying jobs are 40 percent more likely than kids who don’t to be “stellar savers” rather than “quick spenders.” Even working just a few hours a week or during summer breaks can give kids the important practical experience of managing their own money. Only one-third of parents (33 percent) say their teens have a paying job. 5. Teach your teen how to use financial tools like checkbooks and credit cards. Almost a third of parents (30 percent) say their teens don’t have any type of savings, checking or other financial account. While your kids are still under your roof, you can teach them how to use a credit card wisely, and the importance of balancing a checkbook and checking a bank statement. These are exercises that will help them learn how to live within their means. 6. Help them make saving an automatic part of their lives. Teach them that regular saving should be as automatic as brushing their teeth. Consider providing an incentive by “matching” the money they put into savings themselves with some amount – perhaps 25 cents on the dollar. Sixty-one percent of parents feel they could do a better job teaching their teens about saving. 7. Show them the money. If you participate in a retirement plan, like a 401(k) or IRA, talk about what a great vehicle it can be to make money grow. If you feel comfortable doing so, you can even consider showing them your own account statements to help them understand the power of compound growth over time. 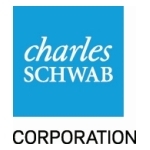 The Charles Schwab Corporation (Nasdaq:SCHW) is a leading provider of financial services, with more than 300 offices and 7.1 million client brokerage accounts, 1.3 million corporate retirement plan participants, 302,000 banking accounts, and $1.4 trillion in client assets. Through its operating subsidiaries, the company provides a full range of securities brokerage, banking, money management and financial advisory services to individual investors and independent investment advisors. 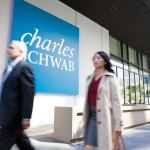 Its broker-dealer subsidiary, Charles Schwab & Co., Inc. (member SIPC, http://www.sipc.org), and affiliates offer a complete range of investment services and products including an extensive selection of mutual funds; financial planning and investment advice; retirement plan and equity compensation plan services; referrals to independent fee-based investment advisors; and custodial, operational and trading support for independent, fee-based investment advisors through its Schwab Institutional division. The Charles Schwab Bank (member FDIC) provides banking and mortgage services and products. More information is available at www.schwab.com. 1 The median U.S. income, according to the U.S. Census Bureau, 2004. 2 This translates into a withdrawal rate of roughly 4 percent of the portfolio’s value in the first year of retirement, which is then grown for inflation over the rest of the retirement time horizon.